Advertising Lab: Can Ultrasonic Teen Repellent Be Used in Advertising? Can Ultrasonic Teen Repellent Be Used in Advertising? 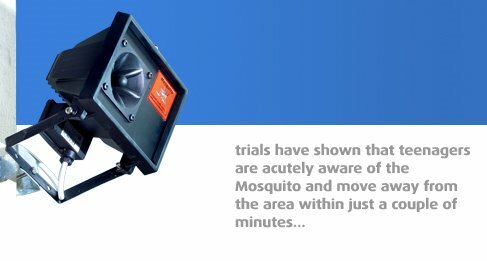 One of today's most interesting stories was about the "Mosquito" ultrasonic repellent device that works like the dog whistle but is designed to keep loitering teenagers away from stores and other property (classical music works, too). The device emits high-pitch sound that only discernable by people under 20 due to presbycusis, or age-related hearing loss. Apparently, some enterprising high-school students recorded the sound and made it into a ringtone unaudible to teachers. I wish MySpace worked on that principle so that only teens could hear their annoying music. More to the point, I wonder if it's something that could be coopted by advertisers to deliver age-targeted messages.